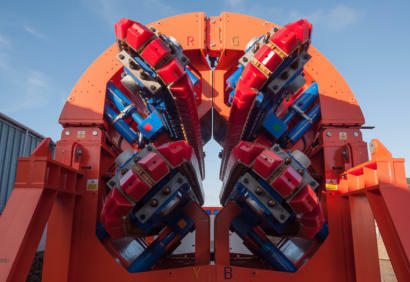 Over-complication of the back deck isn’t a means of improving the quality of operation, believes MDL rental director, Mike Gaskin - and a double-tensioner solution for horizontal lay is one example. Deep oil isn’t cheap. So how do we get to it, without breaking the bank? 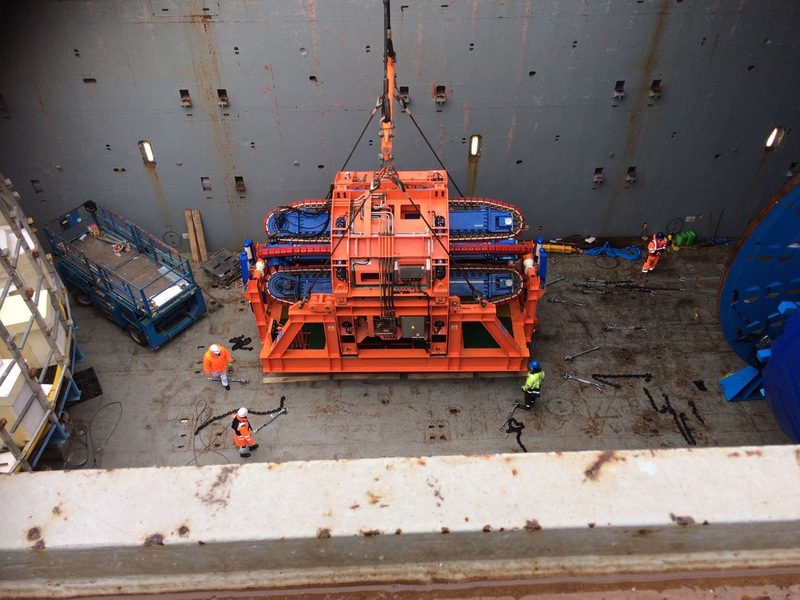 MDL’s speciality is flex lay, so I can only speak from this perspective - I say “only”, but I see so many projects that could have saved themselves plenty of cash at various stages between the equipment coming onto the vessel, right through to demob. One key thing to note is that by saving cash I don’t mean cutting corners or compromising on safety - quite the opposite. It might be a residue from the former, more buoyant times, but over-complication of the back deck isn’t a means of improving the quality of operation. A double-tensioner solution for horizontal lay is one example. 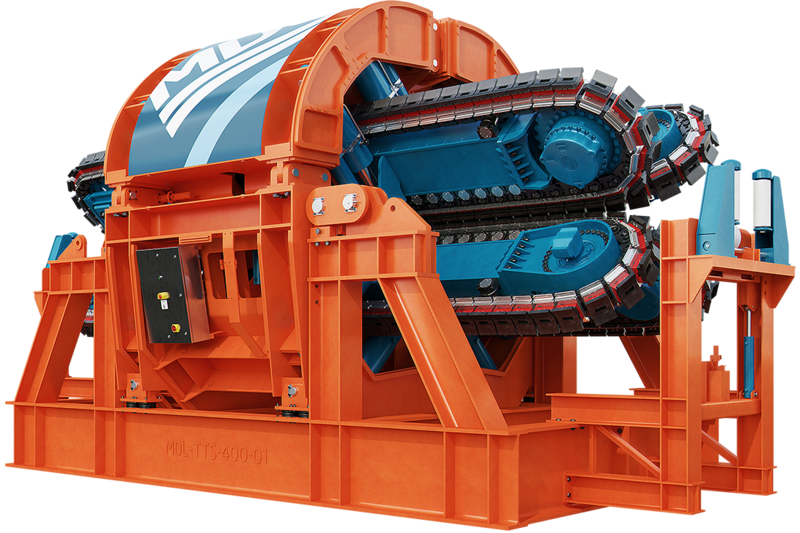 For any installation requiring 50-tonne line-pull and over 4.1m track contact length, it has been an established practice in the rental market to opt for two tensioners working in tandem; to be fair, up until recently that has been the only portable solution for that sort of jobs available. But while using a dual solution doubles up the capabilities of a single system, it also means doubling up on all the drawbacks that come with it. First factor to look at is, of course, safety. Every pipe lay is a delicate and, by nature, critical operation - hence the time and resources spent on the front-end to ensure the correct spec of the equipment, that is compatible with the product’s characteristics. Once the right equipment is sourced, it needs to then be configured for the job, with the correct settings for grip, speed and constant tension / render if applicable, to ensure optimum handling. In case of a dual-tensioner option, each tensioner will have to have the grip set up independently, as they are controlled by separate grip circuits and there are risks associated with constant tension / render setups. It’s clear to see how using two systems increases the risks on the job, where synchronisation is key to a safe operation. Human error aside, even a single-point failure on one of the systems can have a detrimental impact on the product if the other system continues to operate. But even if the systems operate faultlessly, there are other, external factors that can affect the journey of the product, and there’s no substitute to live observation to catch any potential issues early. Two systems create a requirement for more supervision - and therefore more men on deck to have their eyes on all the right places. Ironically, two systems won’t take up double the space - in fact, they will require more than that, as they will have to be mobilised at a certain distance apart, on average an additional 2m. The accumulated space occupied by this combined solution will often mean that it cannot be used for overside deployment, particularly on smaller vessels, with additional steelwork required for mounting on an incline - this leads to either a deviation from the optimum arrangement specified for handling the product, or the more brutal - but correct - decision to go for a larger vessel for the project. 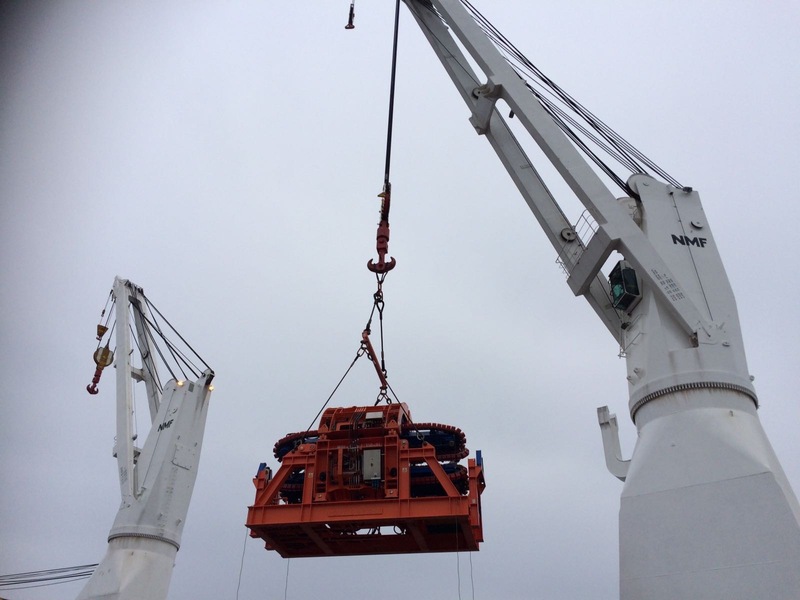 The costs pile up on mobilisation when it comes to sea-fastening, which requires more resources in the design and planning stage, as well as either twice the resource or twice the time for performing the sea-fastening to the deck. 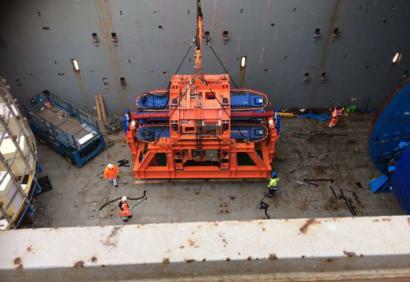 Also, transport of two tensioners to the destination port will have a greater cost impact than that of a single solution, even if undertaken by road. That’s quite a list, and the answer is really quite simple: halve it. 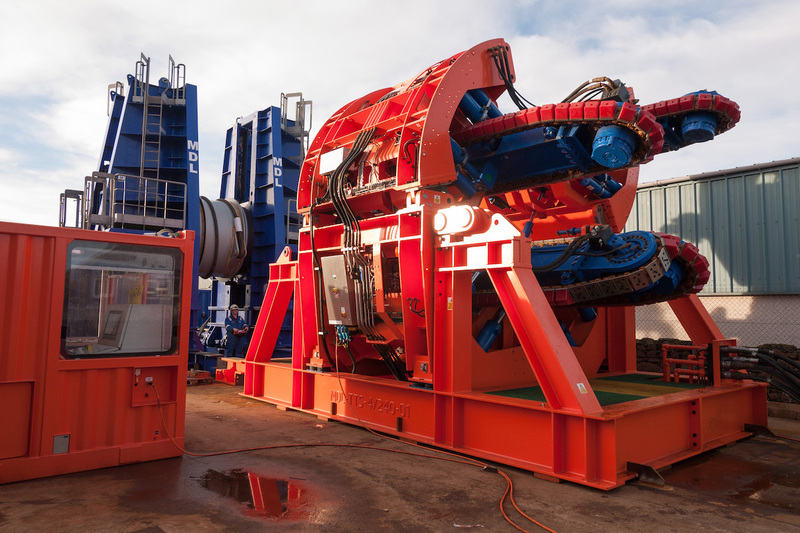 At 5m and 5.5m track contact length respectively, MDL 110-tonne and 150-tonne tensioners can perform a deepwater installation off any vessel, on any angle and from any orientation on deck. The compact TTS-4 design means that even the largest unit can be transported by road, and lifted on board the vessel in a single lift. An added benefit is the St Andrews Cross-arrangement, which creates a large opening for product acceptance and abandonment. 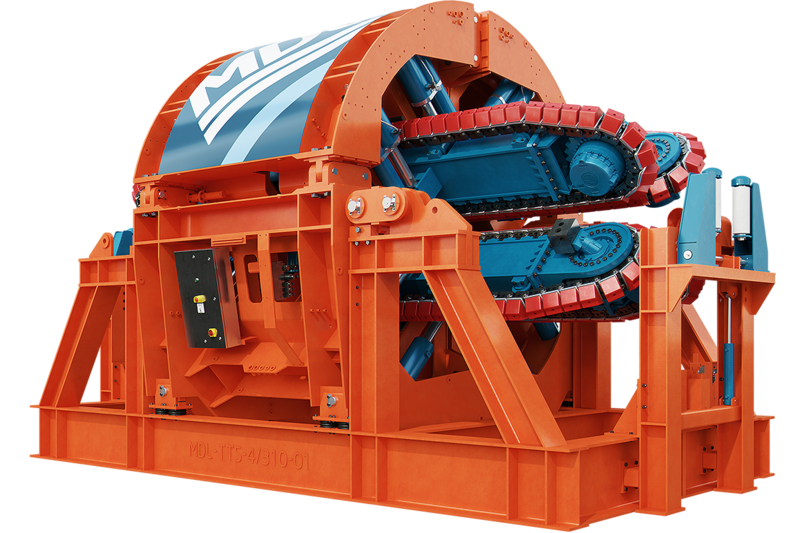 And - just like the rest of the MDL tensioner range - the larger systems include key safety features preventing damage or loss of product even in case of power failure or emergency shutdown. 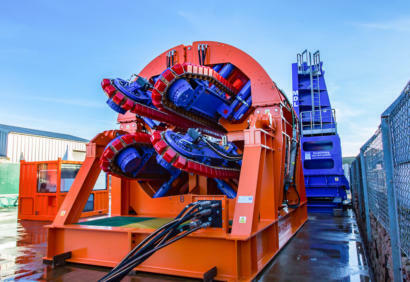 The 110-tonne system - our first tensioner above 50-tonne line-pull, and also the market’s first road-transportable solution of its size - was MDL’s response to the unnecessary risks and costs carried by operators conducting offshore flex lay - a response already adopted in two distant basins on the opposite sides of the world, including a beach-pull project and deepwater flexible installation. I personally don’t believe in doubling resources to get the same outcome - it’s not worth the headache. But what’s your view on it?